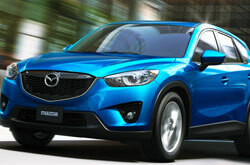 Have you ever wondered about the new Mazda CX-5's features, specs and more? Find out below! How did Joe Myers Mazda manage to gather this information? By speaking to the most exceptional automotive writers in the business. The following article is jammed with beneficial information- it contains everything so that you can make smart decisions about the Mazda you want to buy. Watch the video below or skip it to get the CX-5 review. When comparing the 2013 Mazda CX-5 against the 2013 Volkswagen Tiguan, Chevrolet Equinox and the Toyota RAV4, and you'll discover that the CX-5 outperforms those autos in several aspects. Look through just a few of the reasons below. 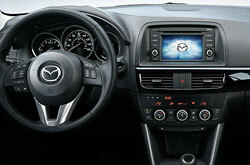 Take a peek inside the 2013 CX-5 - view video now! Unlike national auto centers, our Houston car repair facility offers genuine OEM parts, phenomenal Mazda trained technicians and a no-charge warranty for all repairs. We're also conveniently situated near many well-known neighboring cities. Your Mazda will stay in top physical shape with help from the experienced auto repair men at Joe Myers Mazda's service branch. Our techs can take on a variety of jobs - from heavy stuff like Mazda muffler repair to less tedious undertakings like serpentine belt and tire alignment and replacement. Joe Myers Mazda is your number-one choice in Houston for fast, professional Mazda CX-5 repairs and regularly scheduled maintenance. You can get coupons any time at the subsequent link.